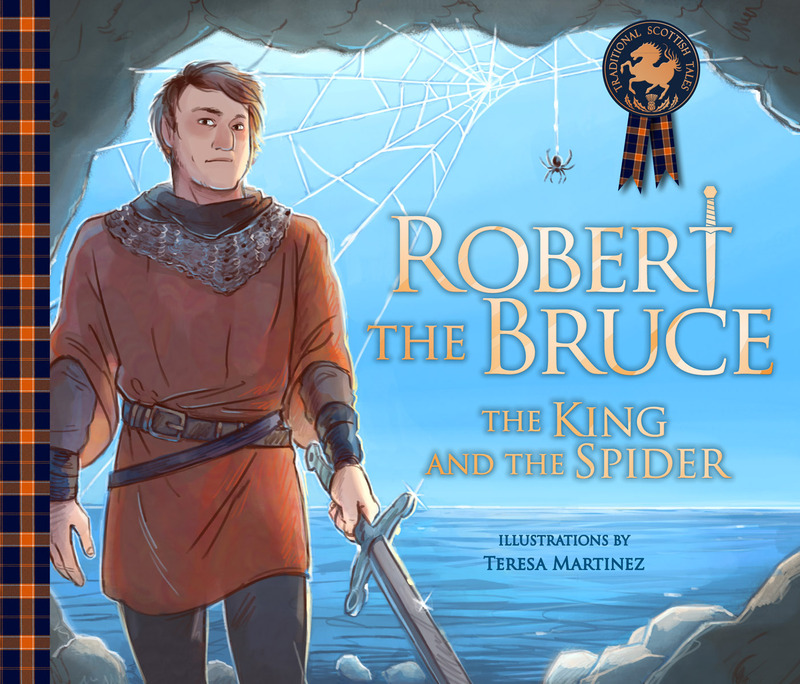 The legend of Robert the Bruce's inspiring encounter with a tenacious spider, has been adapted into a spectacular children's picture book, with stunning illustrations packed with drama and historical detail and the message of never giving up. 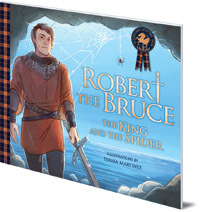 The legend of Robert the Bruce's inspiring encounter with a tenacious spider, popularised by Sir Walter Scott, is well known throughout Scotland and the rest of the world. Following the rebellious king's journey from crushing defeat in battle and daring escape to lonely exile in a dark cave, Robert the Bruce spots a tiny spider that refuses to give up trying to spin its web. Inspired by its perseverance, King Robert returns to the cause, eventually leading his army to victory at the Battle of Bannockburn, a defining moment in Scottish history. Through stunning illustrations and a gripping story, packed with historical detail, children will experience the tension of Robert the Bruce's escape and the excitement of his return to victory. This is an engaging historical tale for children starring one of the most famous figures of the Scottish Wars of Independence. Molly MacPherson is a writer based in Edinburgh.